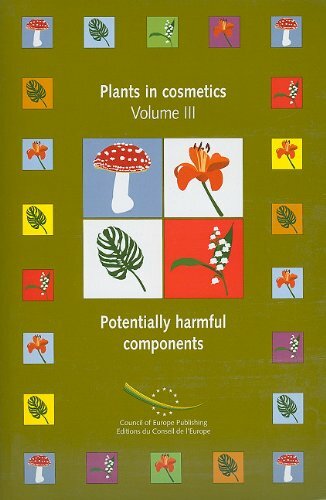 As the third volume of a trilogy on Plants in cosmetics, this study concerns potentially harmful components which occur naturally in some plants the ingredients of which could likely be used in cosmetic products. Its aim is to raise awareness on the implication on consumer health by use of such ingredients and to trigger preventive measures. The 24 data sheets of components, selected by the authors because they are not regulated specifically in cosmetic legislation, give useful information particularly for the competent authorities and the manufacturers of raw materials and cosmetic products, mainly based on currently available pharmaco-toxicological data. Each monograph includes a bibliography and conclusions/recommendations.